The Kid Behind Their Checklist – Hi Blog! I'm Dad. My non-verbal seven-year-old might not speak, but it’s more than made up for by the number of professionals who want to speak about him. From teachers to doctors, he tends to be a big topic of conversation. A lot of this talk revolves around the things he can and cannot do. In many cases, I find myself facing realities when talking to teachers and school administrators that I might not normally be dealing with. Sometimes these missing skills are so overlooked that they will smack me upside the head when pointed out. Does he walk down stairs? Does he do step over step? Step over step? Like walking? Yes, but not step, step, step. One foot on one step, then the next foot on the next step, and so on. Does he do that? Yes. Step over step. Does he do step over step? I have no idea. I just learned that “step over step” is a thing. 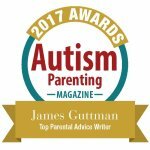 When your child has Autism or any special need, those questions need to be addressed. It doesn’t matter if you are mentally prepared or ready to face them. You have to. You’re their caregiver. Your child needs care. So you give it. It’s easy to get bogged down when approached with issues like that. Before long, you’re having an extended conversation about tiny, yet huge, personal goals. Suddenly, big picture issues are being combined with the smaller ones you never even noticed. The list of concerns doubles and triples until you wind up spending an hour focusing on all the things he seems to be unable to accomplish. It’s times like this that make it easy to forget who I am talking about. All of the qualities that make Lucas my favorite boy in the world are put to the side while we sit in a cluttered office and itemize all of his perceived inabilities. We talk about him like a character in a math problem, rather than the person I know him to be. So, it’s easier to turn that personal connection off. We talk about him like we’re mechanics trying to fix a car. Periodically, they might throw in a reassurance of, “he’s so loving” or “there are many things he has been achieving in the last year.” I agree and appreciate the effort, but a part of me feels it’s said to keep parents from throwing office supplies or doing the “la-la-la” ear thing. What sets Lucas apart, though, is the depth of discussion about his abilities. They can seem dire and, for a parent who has nothing but love to give, it can really hurt to face these issues. I want him to be the best he can be and, at times, it feels so hard to get ahead of it all. When a professional can talk for over an hour about the things your child still has yet to achieve, you can paint a pretty grim mental image of the future. My head stays in that dark place until I come home when, iPad in hand, he’ll come running up the stairs to greet me. I don’t even notice if he’s doing step over step. All I notice is that huge smile to brighten my day. Suddenly, my mood is whipped back around. It may seem like that smile would make me feel bad in some ways. After all, I put his sweet personality out of my mind in order to handle his seemingly large list of shortcomings. I had to force myself to see the worst of him even though, when seeing him in front of me, I can only see the best. It doesn’t make me feel bad. If anything, that smile reminds me of why I have to do it. It’s why, as his father, I need to put that emotional response out of my head for his own good. He is the reason I do it. If I argued with doctors and teachers simply because his truths were too hard to hear, I would be doing him a disservice. His smile reminds me that, sometimes, I have to forget about that smile so I can help him succeed. All the wonderful things he brings to the table are there. It’s my job to make him even better as he grows. The whole world will get a chance to see his smile and, by helping him be the best he can be, he’ll have a better chance of seeing them smile back.